Perfect for mixted and acneic skin. 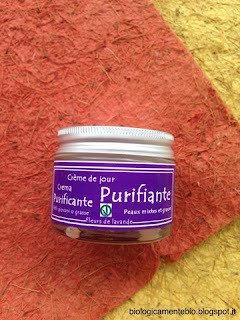 A very good product I've tried is the purifying cream with lavender, immediatly I noticed the white color, typical of thick creams, however once I opened it the consistence impressed me very much, it looks like a mixture of yogurt and jelly, applied over the face it is like a fluid gel and this texture is perfect for my skin. 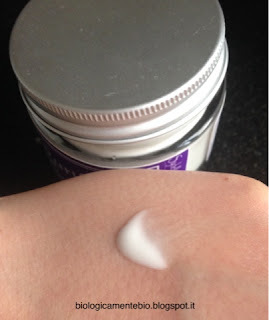 It blends perfectly with the skin and is a pleasure to apply. It is fresh and light and it absorbs quickly, unlike other gel produts it doesn't dry the skin and it has an excellent purifying and moisturizing effect. It was a surprise to apply it in the evening, and wake up in the morning without a greasy and shiny skin, but soft, smooth and hydrated face. This product worked really well, after two weeks of frequently use the skin is soft hydrated, absolutely not greasy and pimples are disappeared. Léa D. on 03/26/2019 Hydrate bien et ne donne pas de bouton. Le pot s’use néanmoins très rapidement. Reste très chère mais étant donné’ que tout est naturel, c’est un bon compromis.